During your visit to this website, FlightClaimEU may collect personal data about you, either directly (where you are asked to provide the data) or indirectly. FlightClaim will, however, only use these personal data in accordance with the purposes set forth in this Privacy Statement and is committed to safeguarding the personal information collected. FlightClaim only collects personal data which it requires to be of service to you, for the purpose of collecting web statistics and to fulfil its required obligations. FlightClaimEU may gather and analyse information regarding usage of this website, including domain name, the number of hits, the pages visited, previous/subsequent sites visited and length of user session. This information may be gathered by using a cookie. A cookie is a small text file placed on your hard drive by our web page server. You can choose whether or not to use a cookie by altering the settings of your browser. A cookie will make the use of this website faster and easier. FlightClaimEU can through the use of this website collect and analyse, with the inclusion of the domain name, information about user behaviour such as the amount of hits, visited pages, previously visited or subsequently visited websites and the amount of time spent on the FlightClaimEU website. FlightClaimEU does not collect personal data (such as your name, email address etc. ), unless you choose to specify this information while using the FlightClaimEU website. The FlightClaimEU registration forms ask clients to provide us with information such as your name, email address and telephone number. In the event that you choose to use the FlightClaimEU service, FlightClaimEU will require that the user provides us with that information. FlightClaimEU will take necessary technical and organizational precautions to secure your personal data against loss and against any form of unlawful processing. In accepting our Terms and Conditions and relevant policies, it is agreed by you that we may contact you via e-mail with newsletters and details of other relevant products that we may from time to time offer. You can request that we do not contact you in this way at any time.  This website contains links to other sites that are not a part of FlightClaimEU. FlightClaimEU cannot be held accountable for the privacy practices of these other sites and the manner for which they use personal data. FlightClaimEU will remove personal data as a result of a request by a user of the website. This will be subject to the visitor having fulfilled their (financial) obligations. A user may also request the modification or adaptation of personal data via an online request, by telephone, by fax, e-mail or written request. FlightClaimEU reserves the right to modify sections of this Privacy Statement at any time. Please check this statement from time to time for any changes.